Looking to repair your credit score? Avoid these five common mistakes. You may not think about it often, but your credit score can suddenly become the centre of your universe when you’re trying to secure a mortgage, vehicle loan or an apartment. Potential creditors want to believe that you’re fiscally responsible, and a poor credit score caused by past financial woes may lead them to think otherwise. Unfortunately a low credit score will not repair itself overnight. So if this is of concern to you, start following these dos and don'ts right away to boost your credit score. DON’T assume that you know what’s on your credit report. Often people wait until they are ready to make a major purchase that requires financing, such as purchasing a home, to be told by the potential lender that their credit report is not as flawless as they expected it to be. DO pull your credit report at least once a year to check for any negative items or errors that you may not be aware of. Although the credit report itself will not show your credit score, all of the items on it are what impact your credit score. Once you become aware of any negative items, such as late payments, accounts listed in collections or incorrect data, you should work toward improving or correcting each of them. If you do find an error, you can report it to the credit bureau to have it investigated. The only way to accurately and entirely find out what is affecting your credit score is to pull your own credit reports from the two major Canadian credit bureaus: Equifax and TransUnion. 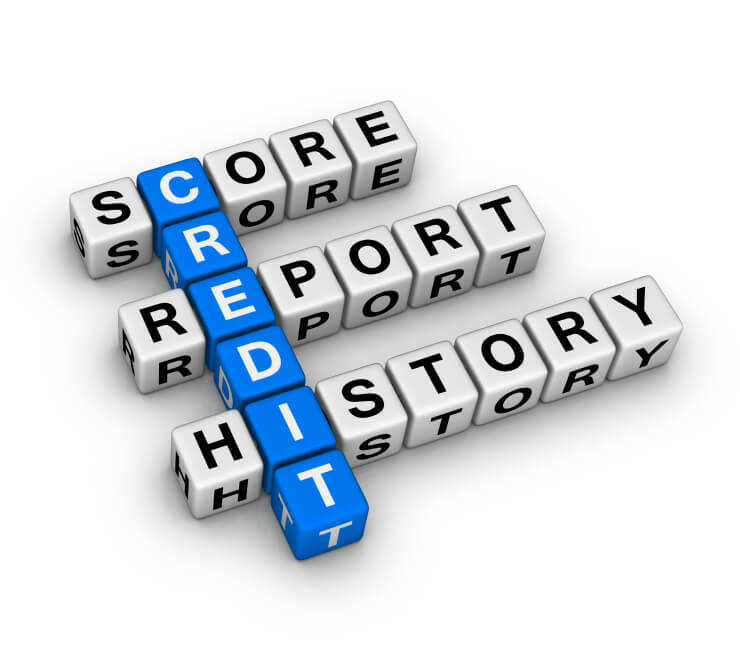 Remember, pulling your own credit report will not impact your credit score. You can contact these credit bureaus at the information below. DON’T max out your credit or go over the credit limits. Carrying high balances on your credit cards can signify to creditors that you are extremely dependent on your credit and not managing your finances well. This can significantly lower your credit score. DO start to pay down your debt. Try to pay off your balances as quickly as possible. Keep your balances at least 35-50% below your available credit limit. If you have more credit card debt than you can handle paying back on your own, don’t ignore it. Shop around and evaluate all of your options carefully. Some options will have a much more negative or lasting impact on your credit score than others. While a debt management program won’t repair your credit score immediately, it may help you take care of your debt problems a lot faster than you would have been able to on your own, and will allow you to have a fresh start at rebuilding your credit once you have completed the program. Just be wary of deceptive companies that claim they will improve your credit score in return for a fee, without you actually paying down your debt. There is no magical way to fix your credit score overnight. DON’T send late payments, or get lazy and forget to make bill payments. It may seem like just a slightly late payment here or there, but when it comes to credit reporting, a late payment is a late payment, and could negatively impact your credit score. Be wary about issuing any cheques that will be returned as Non-Sufficient Funds (NSF), or letting your bill payments put your bank account into the overdraft, as these items can also negatively impact your credit score if your bank reports them to the credit bureaus. DO pay your bills in a timely, consistent manner. Payments made in regular intervals are crucial for increasing your credit score. Following your monthly budget is one of the best ways to ensure that you are able to keep up with your bills. However if you are still having trouble making payments on time, it may be wise to seek financial help. DON’T apply for too much credit in a short amount of time. You may think of it as being productive, but to potential creditors it can look like you are desperately seeking credit because you are having financial difficulty. DO apply for credit only as you need it. Avoid filling out every application from every department and grocery store that you shop at just to get freebies or discounts. Having too much open credit can also cause potential lenders to be concerned that one day you’ll rack up more credit than you’ll ever be able to pay back. DON’T procrastinate on starting the steps to fix your credit score. You don’t need to wait for all the bad debt to be completely off your credit report before you start taking these steps. DO start re-establishing good credit as early as you can, even if it’s just in the form of a secured credit card or overdraft account. While it is good to keep your credit minimal, you still need to have some credit to show a good payment history on. A secured credit card can be ideal if you are having difficulty getting a credit card due to your credit history. Try using your credit card to make at least a few purchases each month, so that there is some kind of activity to report. You can’t boost your credit score if there is nothing on your credit report to justify it. The calculation of your credit score is complex and can be based on many factors. What’s even more noteworthy is that these factors are not always calculated independently of each other. For example, multiple inquiries from potential creditors in a short period of time can decrease your credit score, but this factor will usually have a more negative impact on a consumer who has a history of late payments on their credit report than a consumer whose bills are paid on time. So can you “fix your credit score”? Not immediately...but with dedication and patience you can take steps toward increasing it over time. Thanks Michael, glad we could help! Tarri, that is what we are here for at Credit Canada. Give us a call and a counsellor can sit down with you and discuss all of your finances including debt, budgeting and future goal setting. It's free and it's confidential. Our number is 416-228-3328 or 1-800-267-2272. I have sat down and talked to a very pleasant person at Credit Canada. Apart from showing me what to do, the amazing improvement in my sense of well being and reduced anxiety was as important as improving my credit situation.